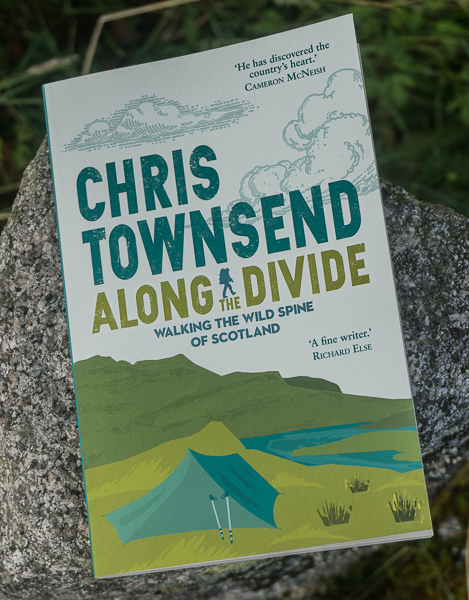 Two very different stories about wild land and the preservation of the Scottish Highlands have emerged recently. The first is the formation of a campaign for the preservation of the Monadh Liath mountain range. So far this takes the form of a petition created by Save the Monadh Liath Mountains. This was instigated by the Allt Duine Wind Farm proposal, which, if it goes ahead will mean 31 giant turbines high on the southern edge of the Monadh Liath just across Strathspey from the Cairngorms National Park. The Monadh Liath is now threatened by an increasing number of wind farms (see Alan Sloman's excellent blog) and it looks as though the wild beauty and remoteness of this area, once the largest roadless region in the Highlands, will be lost forever. Saving what’s left is still worthwhile though so please sign the petition, which you can do here. The second story is the production of planning guidelines on wildness by the Cairngorms National Park, using fascinating maps produced by Steve Carver of the Wildness Research Institute. These maps divide the Cairngorms into wild land zones, with the mountain core having a high wild land value. 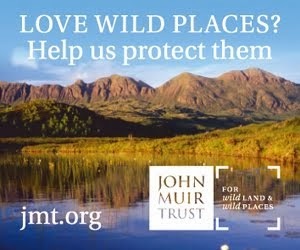 This is an excellent resource and it’s good to see the National Park recognising the value and importance of wild land. Yet at the same time just outside the park wind farms are planned that will be highly visible from many areas in the park and will substantially detract from the “naturalness, ruggedness, remoteness and the lack of modern human artefacts” that the park identifies as attributes of wildness. That the Monadh Liath is not in a national park does not mean it’s unworthy of protection. But the fact that the destruction of its wildness will impact on a national park is another reason why the wind farms should not go ahead. There needs to be some connected thinking here. The Scottish government has two opposing objectives. Through the national park it wants to preserve and enhance wildness and prevent developments that could damage it. Through its energy policy it wants wind farms built that will destroy wild land. It can’t have both. The picture was taken on a stormy day in the Monadh Liath. Excellent post Chris. The brutal truth about the Allt Duinne scheme is that the turbines are cynically planted right up to the very border of the Cairngorm National Park. You can see this by clicking HERE which is a map of the proposed wind power station of Allt Duinne. The thick yellow shaded line is the boundary of the CNP. It shouldn't need explaining to planners and politicians that a sensible definition of wild land needs to extend not to just the piece of ground you're actually standing on but to those things which are clearly visible from that vantage point; certainly those intrusions in the near distance. Unfortunately it's something they seem unwilling to acknowledge. The notification of the Allt Duinne scheme made me almost physically sick – my stomach is still uneasy as this particular area I hold with great affection and fond memories. Before I moved to the North of Scotland over 20 years ago I spent many winters skiing in this area and staying in the bothies with my brother. In the Spring I’d tramp this area as it was and still is rich in wildlife. My wife and I found an occupied eagles nest there. I have 30 plus 125m turbines currently being built on the hill opposite my home and that hurts but the Allt Duinne scheme hurts more. A couple of weeks ago we had notification through the door of another proposal just five miles down the glen for another 30+ turbines by a German company....and guess what their main business is? It is making jigsaw puzzles...I kid you not....it is on their website!!! We are cursed with these installations if the North of Scotland, it is just relentless. 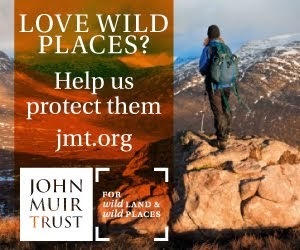 Clicking on the your link to the piece by Steve Carver ..it says “Majority of Scottish population (91%) think that it is important to have wild places”. Well it is a shame that all these people don’t object to these monstrosities. Soon all there will be in Scotland is bloody wind turbines.